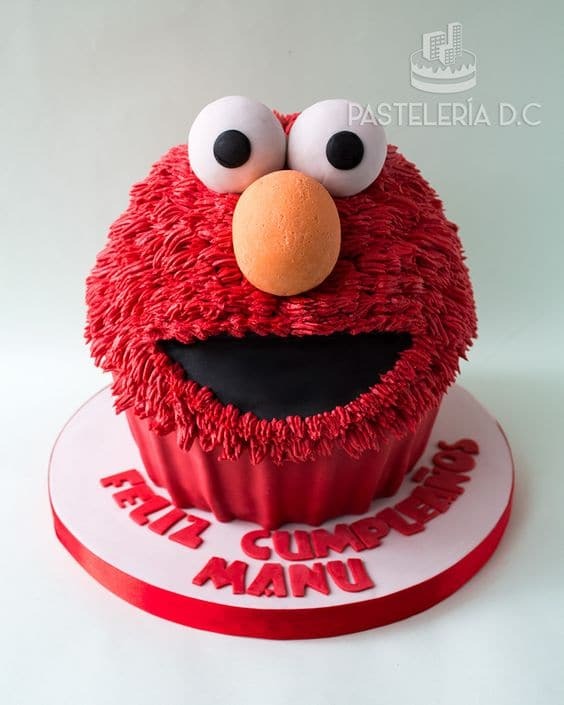 Kids and adults alike love sweet little Elmo from Sesame Street, which is why this cute and lovable red monster is such a big hit when it comes to birthday parties. 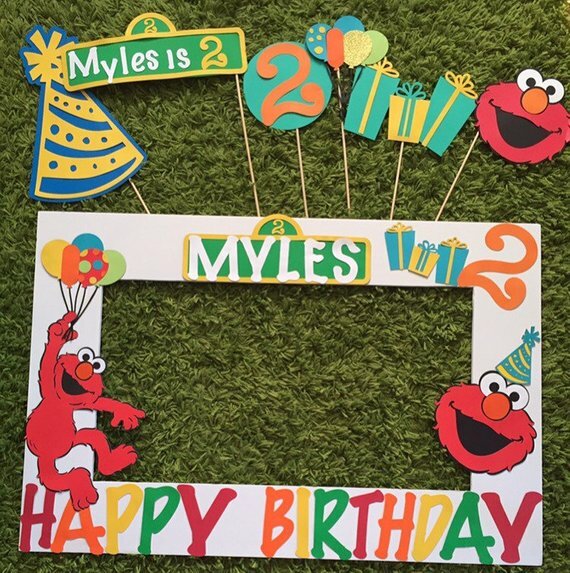 Throwing your little one an Elmo themed birthday is a wonderful idea because you can have plenty of fun, vibrant, and best of all, easy to find or DIY Elmo-themed items like Elmo birthday decorations, Elmo party favors, Elmo party games, and even an Elmo birthday cake! Want some inspiration for an Elmo themed birthday party you’re planning to throw? 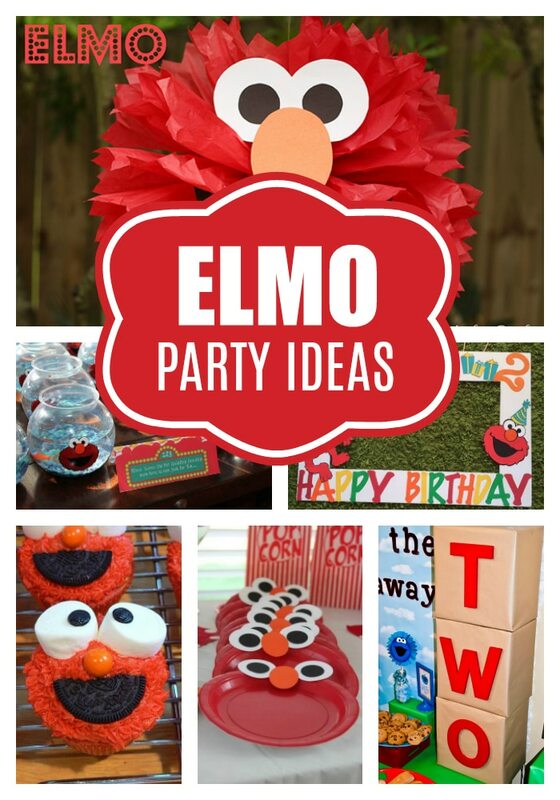 Check out these 17 amazing Elmo party ideas! You’re sure to find a thing or two in this list that will be absolutely perfect for your Elmo theme party. Elmo Birthday Party Idea #1: These adorable Elmo Cupcakes are definitely going to be a huge hit at your child’s birthday party. The beautiful red frosting makes it look so yummy and appetizing. The use of different types of candies is super creative too: half an Oreo for his mouth, an orange M&M for the cute button nose, and fluffy marshmallows for the eyes! 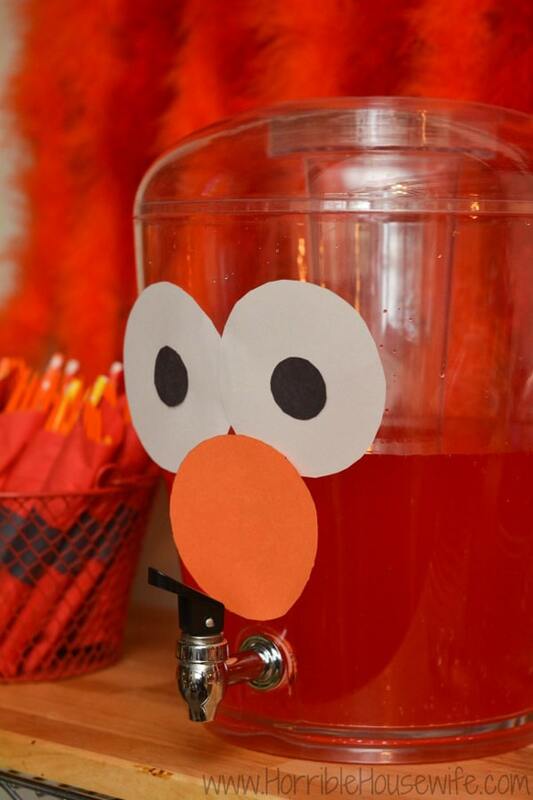 Elmo Birthday Party Idea #2: Here’s a great idea for something to cool down your guests: Elmo Punch! All you need to make this drink is some red colored punch and some construction paper to make the face. Pretty cheap and easy to DIY, right? Elmo Birthday Party Idea #3: What better way to serve all your yummy Elmo treats than with DIY Elmo plates? 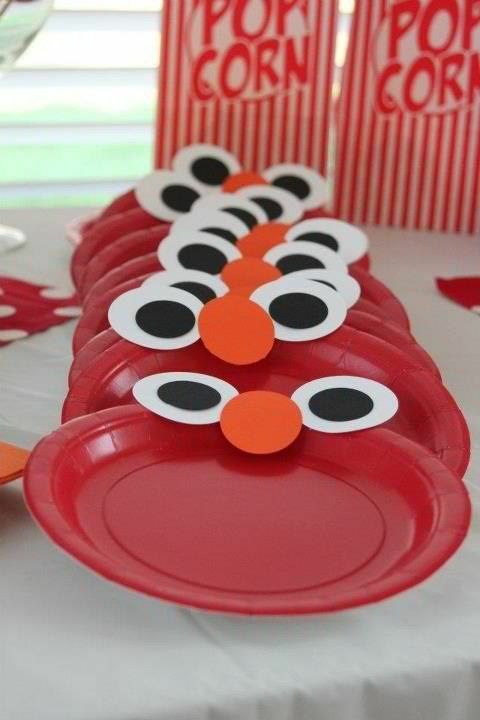 These Elmo Plates will fit in perfectly with all your other Elmo party food ideas! They are super easy to make, so if you can’t find Elmo party supplies at your local party supply store, you can try your hand out at making these yourself. The kids will love them! 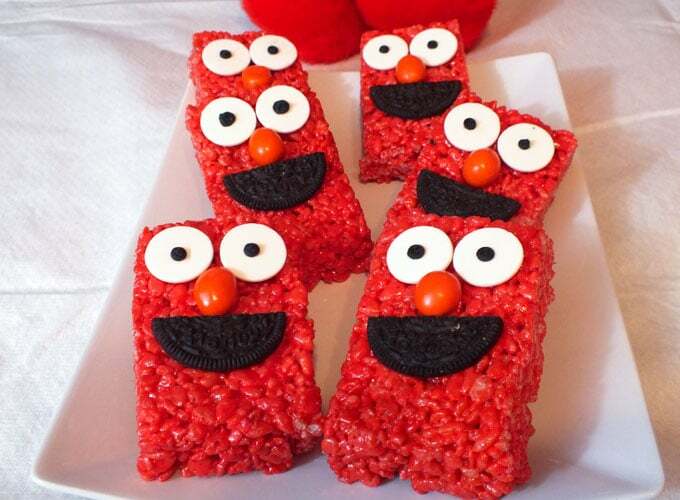 Elmo Birthday Party Idea #4: These Elmo Rice Krispie Treats look absolutely delicious! These will be great break time snacks for when the kids need to re-energize after playing a ton of party games! They’re super easy to make and are the perfect grab-and-go snacks for your Elmo birthday party? 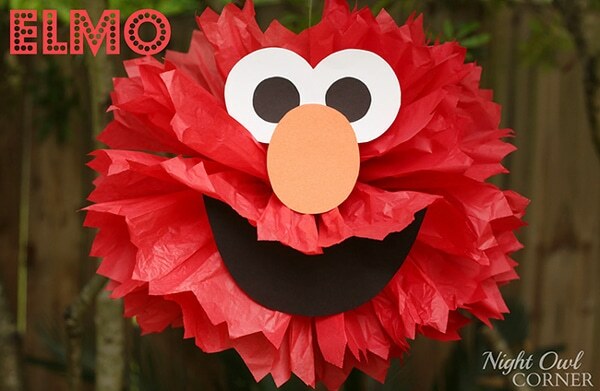 Elmo Birthday Party Idea #5: Looking for creative but easy DIY Elmo decoration ideas for your party? How about this Elmo Party Decoration? This Elmo pom pom decoration is made using red tissue paper and some floral wire. You can find plenty of instructions for making these gorgeous DIY pom poms online like the one from Martha Stewart’s website! These are super fun and easy to make, and they’re going to look great at your party! Elmo Birthday Party Idea #6: Want easy Elmo birthday ideas for toddlers? This classic Pin the Nose on Elmo Party Game is the perfect game to have for your toddler’s birthday party. It’s a fun and uncomplicated game that will surely be lots of fun for your child and his or her friends! 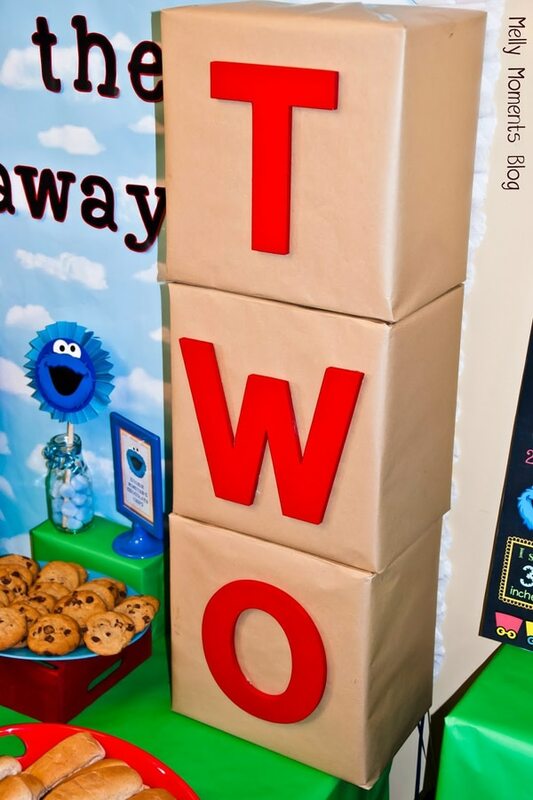 Elmo Birthday Party Idea #7: This DIY Number Box Party Decoration is not necessarily Elmo themed, but it will fit in perfectly with your other Elmo decoration ideas because of the red numbers. Elmo Birthday Party Idea #8: How cute are these Elmo Party Favors?! 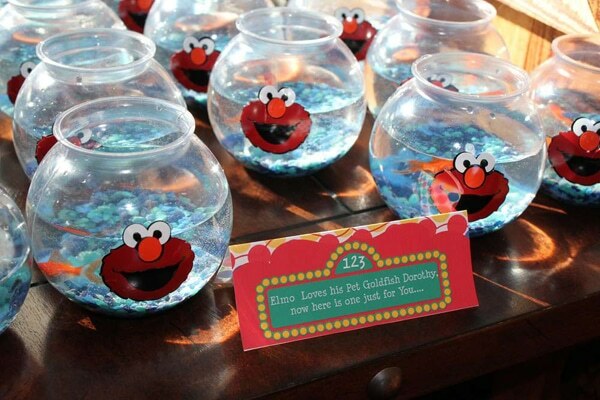 We all know that Elmo loves his goldfish (and his crayons too), so having your party guests take their very own goldfish home is such a brilliant idea! Elmo Birthday Party Idea #9: More Elmo food ideas coming your way! These Elmo Jello Cups are easy to prepare, and you can even make them beforehand so that you’ve got one less thing to prepare during the day of the party itself. 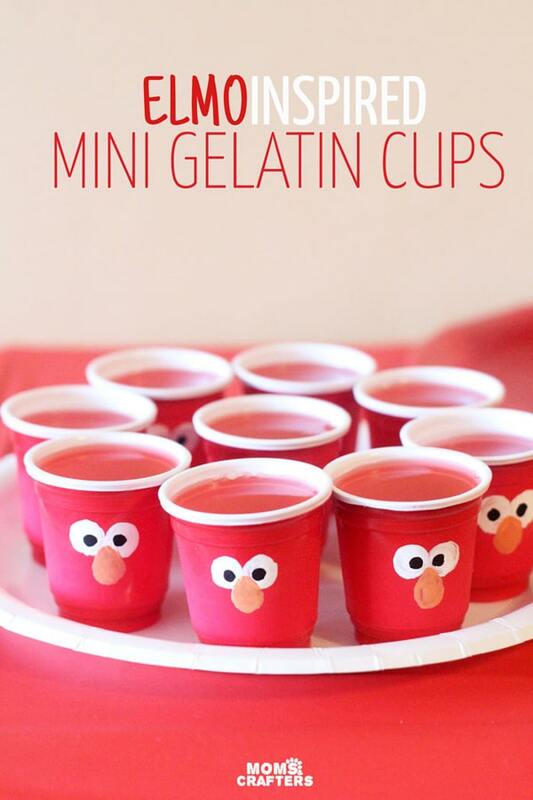 To make this cute dessert, you just need some red gelatin, mini red party cups, and some acrylic paint to make Elmo’s face. Elmo Birthday Party Idea #10: To make sure that your kid’s birthday party will be one to remember, don’t forget to set up an awesome photo booth! 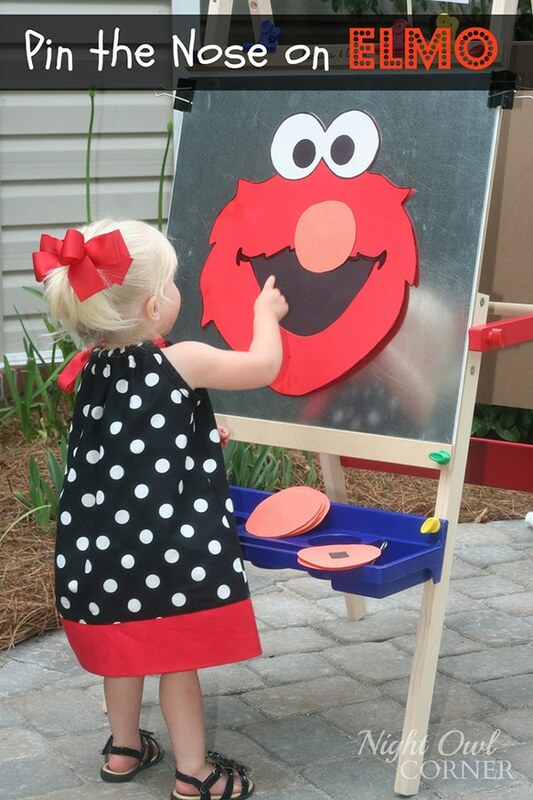 These Elmo Photo Booth Props will make everyone’s photos fun and memorable! Elmo Birthday Party Idea #11: This Elmo Party Dress is beyond adorable! 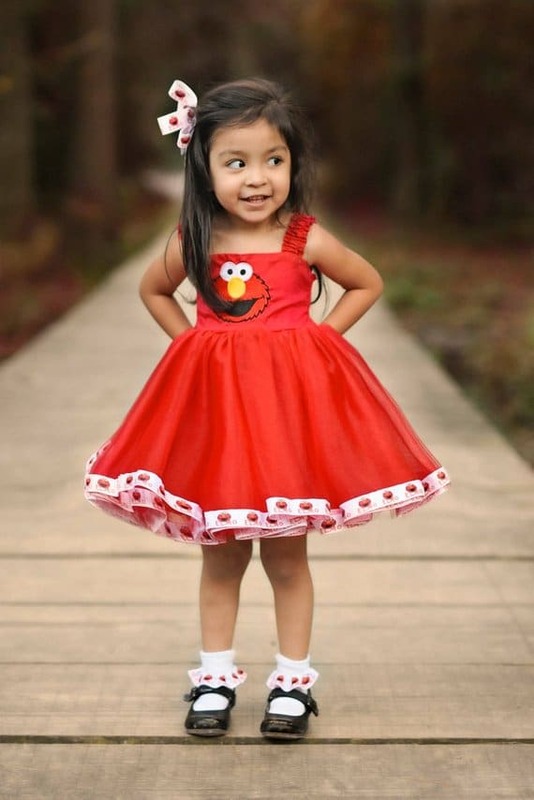 If you want your little princess to be the belle of the ball, dress her up in this super cute Elmo party dress and let her be Elmo for the day! She is going to have loads of fun and it will make for truly cute photos for your photo album! Elmo Birthday Party Idea #12: Wow, this Elmo Birthday Cake looks absolutely incredible! 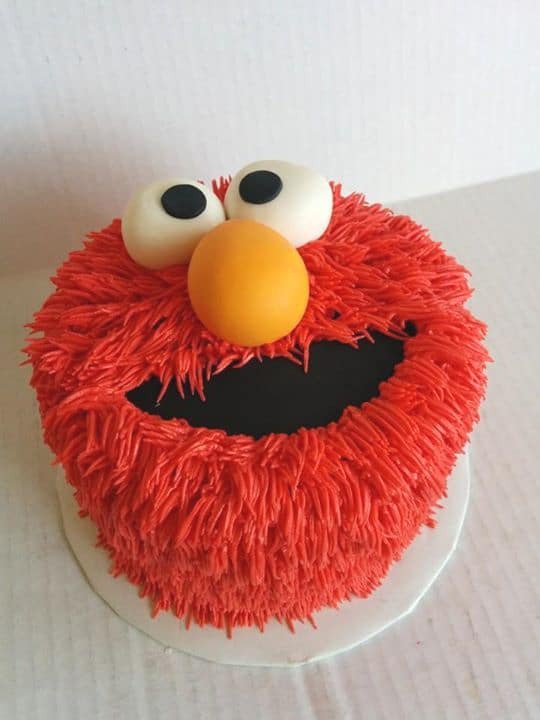 The beautiful pipe frosting really makes this Elmo cake come alive, and the bright red color makes it look almost too good to eat! This will definitely be an awesome dessert table centerpiece. Elmo Birthday Party Idea #13: Here’s another awesome Elmo Cake for your party! If you want something a little more 3D, this one’s for you. They definitely did a wonderful job on the texture of the frosting too! If you’re up for the challenge, baking an Elmo cake like this one will definitely impress all your guests. Elmo Birthday Party Idea #14: If you want to give the little ones something a little healthier to munch on, why not serve this Elmo Fruit Platter for your Elmo themed party? 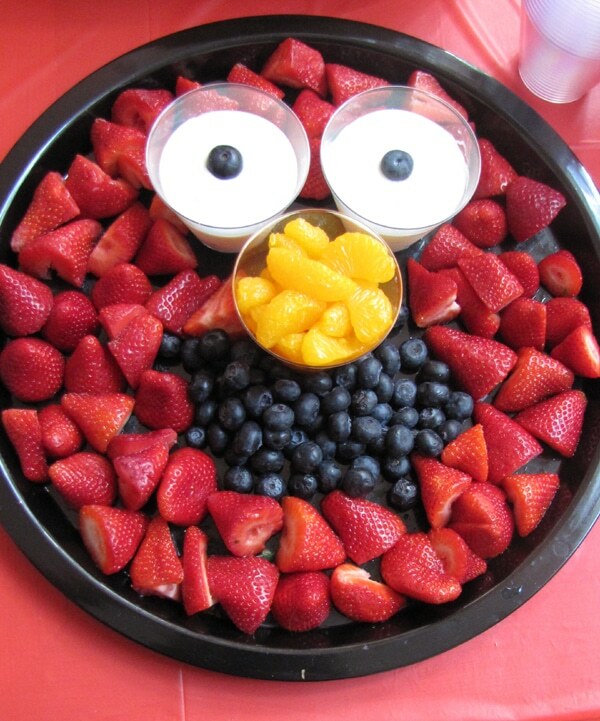 Strawberries, mandarin oranges for the nose, blueberries for the mouth and pupils, and vanilla yogurt dips for the eyes make for an amazing Elmo fruit platter that both kids and adults will enjoy! 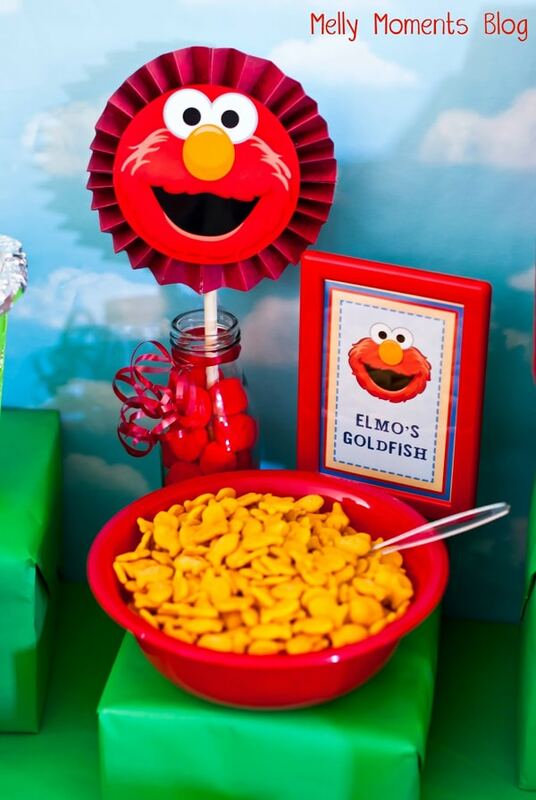 Elmo Birthday Party Idea #15: Here’s one of the simpler Elmo food ideas for your party: goldfish crackers! This Elmo’s Goldfish bowl will be an excellent addition for your dessert spread. 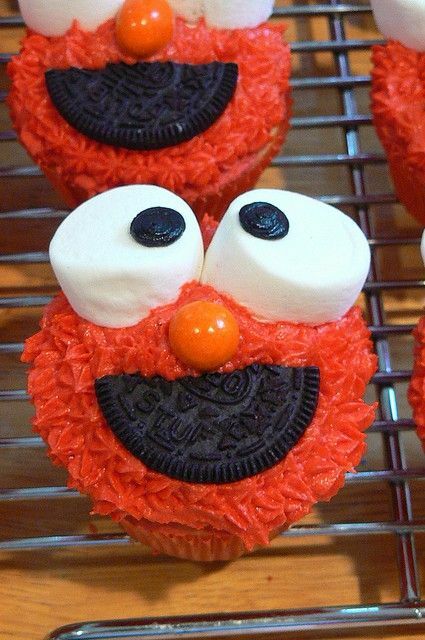 Elmo Birthday Party Idea #17: Want classy and impressive Elmo dessert ideas? 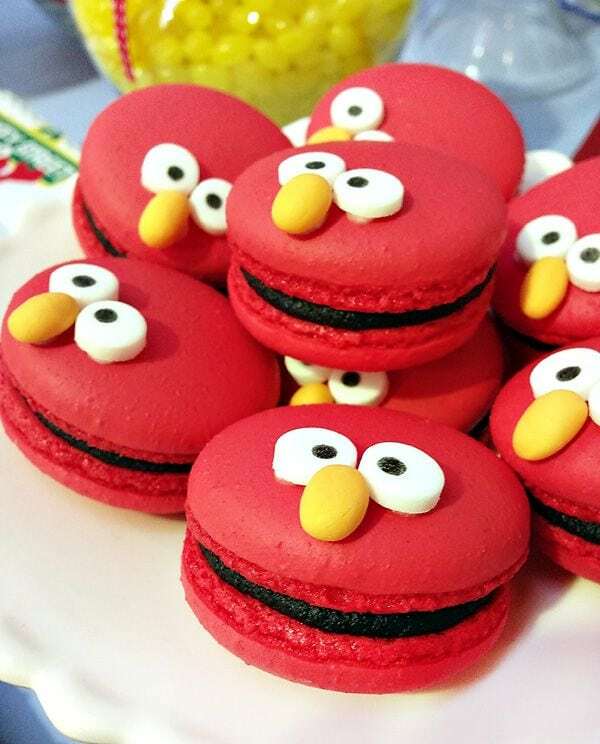 Your guests will surely be impressed when they see these beautiful Elmo Macarons on your dessert table! Which of these Elmo Birthday Party Ideas are your favorites? Start the conversation in the comments below!